Weird fact about me: I like things in mass amounts. I’m not even sure how to explain it. I’ve always LOVED going to stores like Sam’s and Costco. I love things in BULK. Even if I don’t need mass amounts – it just makes me happy! So….one thing that I have mass amounts of is…SPRINKLES! I like to think I collected sprinkles before sprinkles were “cool.” I rarely even use sprinkles, but they just make me happy! 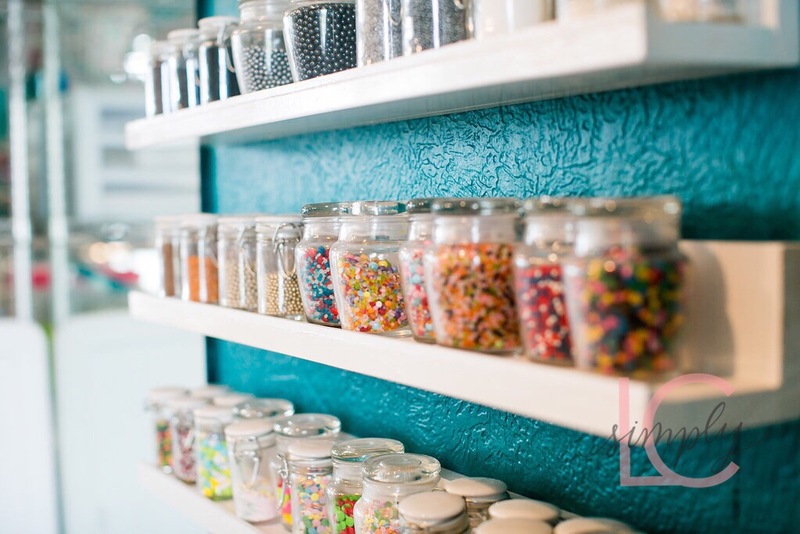 There are now a couple dozen companies that specialize in custom sprinkle mixes. While I love the sprinkle mixes, I think the fact that I have to “order” them online prevents me from over purchasing. Now….going into Walmart or Target? No control there! Every holiday I scour the baking aisle in hope of finding a new mix that I don’t already have. I used to store my sprinkles in big plastic totes and would have to search through each one to see if there was something I wanted to use. Now, I have them displayed for all to see in ROYGBIV order (as anything of color should be sorted). I can easily pull inspiration from the mixes, or just gaze at all it’s beauty! 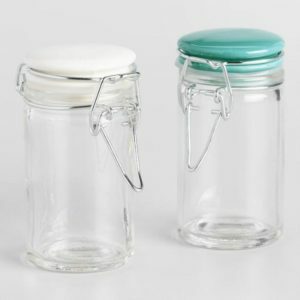 The jars that I use are from World Market. 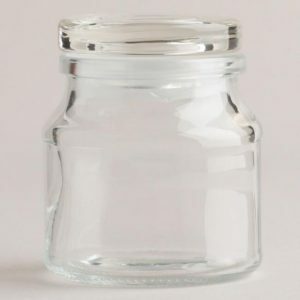 I searched for months trying to find something that was functional and aesthetically pleasing – and that I could buy in mass amounts 😉 These little jars are glass and have cute little ceramic tops. They come out to be about $1 a piece. Some of my sprinkle mixes are kind of “big,” so I have a few larger jars for those. I couldn’t find the exact ones I purchased, but these are similar! Now for my shelving…I could have made things easier and found something at iKea or Target, but I like to be difficult and I made them myself. I had a “vision” that I talked through with my craftsman (aka my dad), and came up with the design myself.  They are not crazy complex – as I wanted to build them myself! 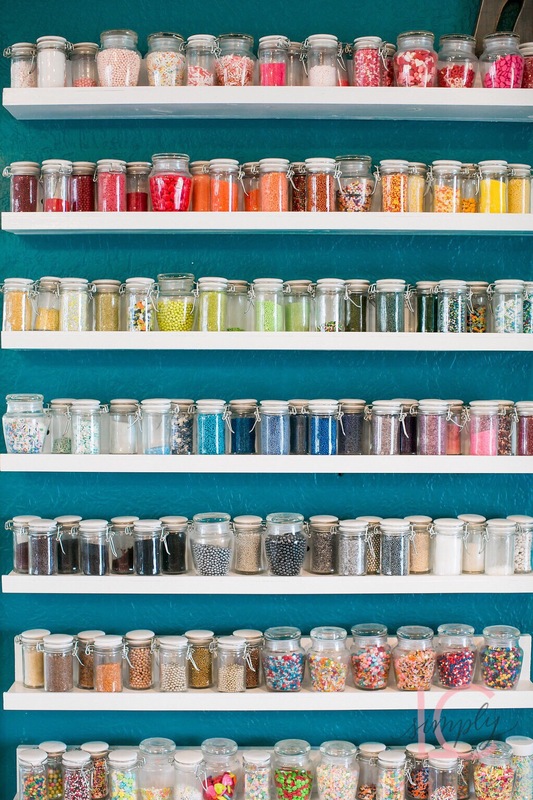 Do you have a sprinkle collection? I would love to see it! Share and tag me 🙂 I don’t promise not to enable the over purchasing of sprinkles…but I will definitely relate to your NEED for ALL THE SPRINKLES. Previous Post Planner Life – UPDATE! Next Post How Do You Swivel? Some links are affiliate links. If you use those links to purchase (no extra cost to you), I earn a small commission. I only ever recommend things that I have, use and love!